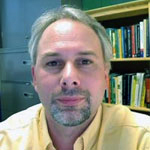 Principle Investigator – Amos Ziegler has been in the Department of Entomology since the mid-1990’s. He is currently a Research Specialists at Michigan State University. Amos is the lead investigator on the projects currently undertaken by ASETS. Collaborations are always of interest, so please feel free to contact us if you are interested in exploring possible joint projects. My research interests include the application of GIS, remote sensing, database, and information technologies to environmental, zoogeographic, and landscape ecological issues. Spatial analysis of landscapes using GIS and remote sensing. Influence of landscape structure on the distribution and abundance of species. Design and implementation of large scale invasive species early detection and distribution mapping systems.